Baby, Have You Ever Wondered/ Wondered Whatever Became Of Me? Posted on December 16, 2005 by Mark A. Last week while driving home from Fort Worth my wife hit a small patch of ice and was involved in a car accident. She was driving our Jeep at the time, and when she left the road and hit the ice-covered median she lost control of the vehicle, and she ended up striking a support column of an overpass. 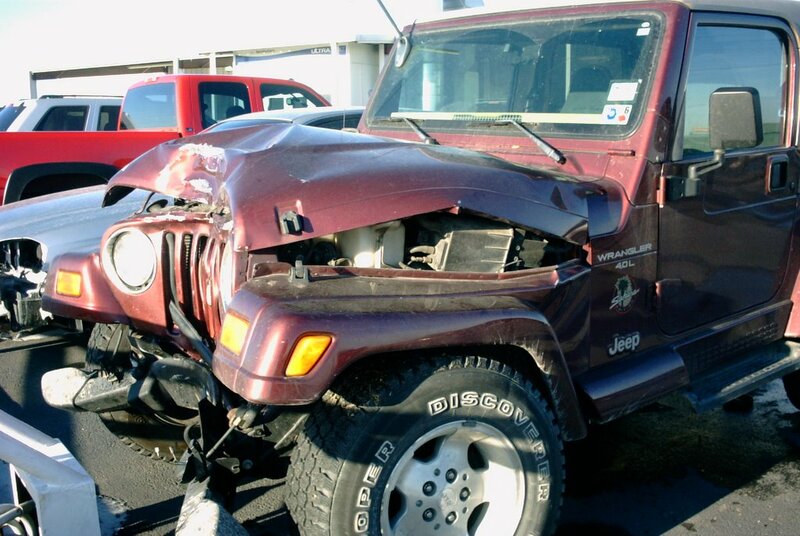 Here’s the Jeep: She walked away from the wreck with some pretty bad bruises and gashes, but nothing life-threatening, for which we are very thankful. The insurance agents are assessing the case (the Jeep has already been declared a total loss, we’re just waiting for the settlement) and I’m sure we’ll be able to find something comparable. Since I’m staying with my parents while Leigh is working in Fort Worth she has been using our truck, and I’ve been forced to deal with an old work van my parents own. You want to know the worst part of driving the van, aside from the rattles and the slightly odd smell? No XM radio. I eventually turned it off altogether and just entertained myself by reciting dialogue from “Dr. Strangelove” and singing the theme song to WKRP. As much as I love XM, I’d be just as happy if you subscribed to Sirius because that would mean you wouldn’t have to listen to terrestrial radio anymore, and I do so want my readers to be happy people.